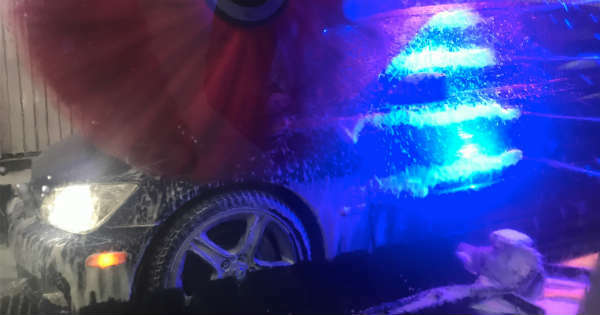 Home CARS Why You Should Never Take Your Vehicle To An Automatic Car Wash! 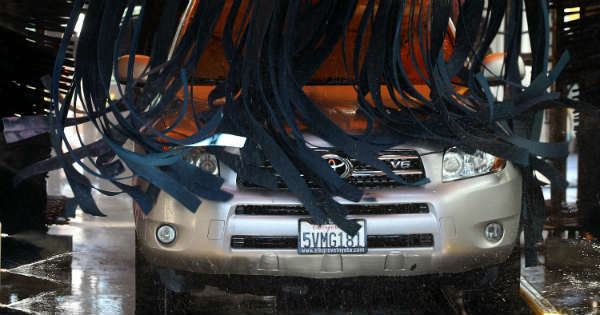 Why You Should Never Take Your Vehicle To An Automatic Car Wash! Before the winter comes, it’s very important to remove road salt off the car. The best way is to just wash the vehicle off any road salt. However, we are strongly against going to an automatic car wash. Expert Sam Smith from Road & Track stated that sending your vehicle in the jaws of an automatic car wash is like painting your vehicle with a damp sandblaster. Sam is a guy who knows a lot about paint. He also knows how paint reacts when going through a carwash. Now, the problem is not so much in the carwash itself but more in the vehicles that went through the carwash before you. For example, if the vehicle that went through the carwash before you was off-roading, it would be covered in sand and mud. Sand and mud are made up of little bits of rock which includes granite. This is extremely abrasive and hard. All of that grit sticks onto the apparatus of the automatic car wash, and after a while that cleaning apparatus starts to work like a sand paper. When you take in mind the immense water pressure and speed of the machines, all that grit and dirt is rubbed along your car’s surface. That said, your car’s paint suffers a lot. Eventually, your vehicle can end up with a scratch that’s known as a “spiderweb scratch”. However, no need to fret if you did this a couple of times or even numerous times. You’ll probably notice paint damage after 10 years. So, here are some tips on how to clean your car! 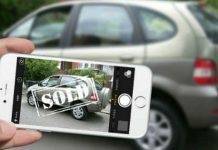 Previous article8 Unique Ways To Help You Jack Up Cars! 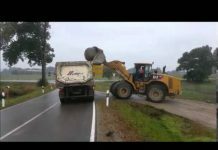 Next articleWhy Super Dump Trucks Have Extra Wheels Behind! 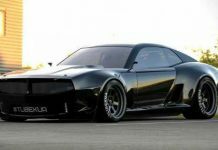 Stunning Pontiac Firebird TT Concept Design!